Neutron quasielastic scattering; molecular dynamics simulation; confined geometry. Molecular dynamics in restricted geometries is known to exhibit anomalous behaviour. Diffusion, translational or rotational, of molecules is altered significantly on confinement in restricted geometries. Quasielastic neutron scattering (QENS) offers a unique possibility of studying molecular motion in such systems. Both time scales involved in the motion and the geometry of motion can be studied using QENS. Molecular dynamics (MD) simulation not only provides insight into the details of the different types of motion possible but also does not suffer limitations of the experimental set-up. 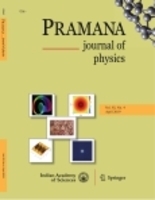 Here we report the effect of confinement on molecular dynamics in various restricted geometries as studied by QENS and MD simulations: An example where the QENS technique provided direct evidence of phase transition associated with change in the dynamical behaviour of the molecules is also discussed.